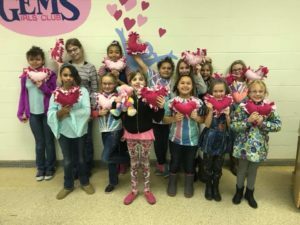 The name GEMS Girls’ Club is an acronym which stands for Girls Everywhere Meeting the Savior. Girls are active, imaginative, and unique. They are passionate! GEMS offers them the perfect place to learn and grow as they discover who God created them to be. 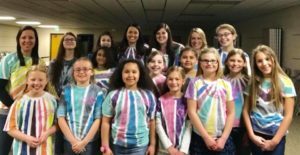 Our mission is to bring girls everywhere into a living, dynamic relationship with Jesus Christ. 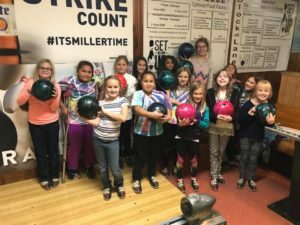 Our vision is to see girls around the world actively and enthusiastically expressing love for God and others-girls equipped, motivated, and passionately engaged in living out their faiths. We usually meet twice a month on Wednesdays (September-April) from 6:30-8:30 pm. Girls in 2nd through 8th grade are welcome to join us. 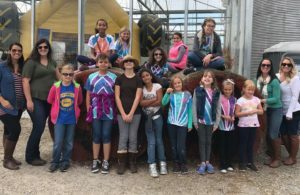 Our GEMS Girls’ Club is led by Heather Peterson. She may be contacted at 219-789-9131 or heather100687@comcast.net.